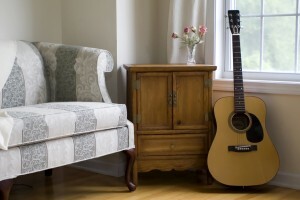 The inspiration of the blog is the BIG TASK we all face while changing anything in our houses. We all keep saying that we have been meaning to redo few home accessories for quite some time but we never quite get around to doing it. But it can be overwhelming to know what is worth buying because there are so many options to choose from all the time!So we thought let’s make it easy for you. 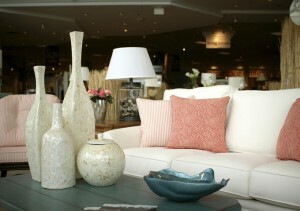 While choosing from the vast array of Home Decor options, we should buy those which are Evergreen or fashionless. That way those pieces would never look out of place or you would never feel that they now look tacky. 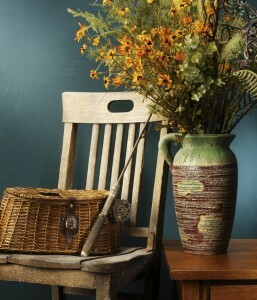 For ex: In the picture below are a wooden chair, wicker basket & vintage vase. All these three decor pieces look perfectly in place at all times. Their appeal is not cyclical nor are they like seasonal fashions which will come and go. The older they get, the better they look. We should always buy decor that would fit in more than one places in our house. Things that can be placed in the bedroom or living room or garden or kitchen counter etc. 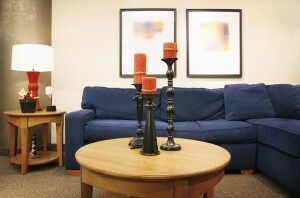 This way all we need to do is change the location of the decor from the living room to the bedroom and VOILA! Everything looks new. For ex: In the picture below these black metal candlesticks can fit into your bathroom sink platform or your living room centre table or your bedroom side table. It easily blends into all spaces & serves a functionality there too. Separator image Posted in Advice, Decor Ideas, DIY Tips, Home Decor, Uncategorized.